We have been in Paris exactly one month, and today is the first full day of unpleasant weather. How lucky are we! We decided to do a late brunch at one of our most adored spots, the Jacquemart-Andre Museum Cafe in the eighth arrondissment off Boulevard Haussmann. There is a wonderful exhibit at the museum right now featuring the works of Perugin, the teacher of Raphael, which we will see later when company arrives. We have never seen such long lines meaning the exhibit is obviously very popular. We waited for twenty minutes to get seated on the tea room terrace completely enclosed with heavy plastic sides so the weather was a non-issue. We forgot to get pics of the food (sorry) but we both had a delicious spinach, salmon quiche with salad followed by an apricot tarte for Bernie and for me, strawberry short cake a la Parisienne. All wonderful, all full of butter and pastry and French calories! 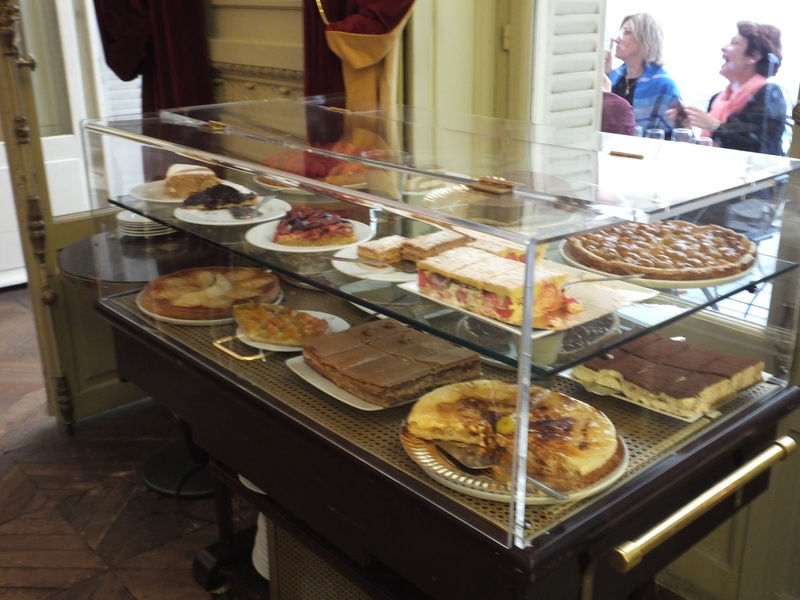 We got some pics of the inside, exterior and the pastry tray which tempts you to come up and make a very difficult choice. Musee Jacquemart-Andre is a former residence. The entrance is from the rear. The interior of the tea room. 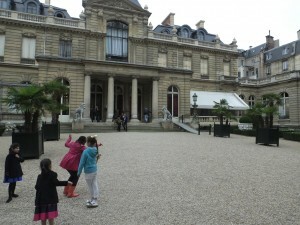 We believe without question that Jacquemart-Andre is our favorite musuem in Paris with the Musee Rodin a close second. Don’t miss either if you come to Paris. 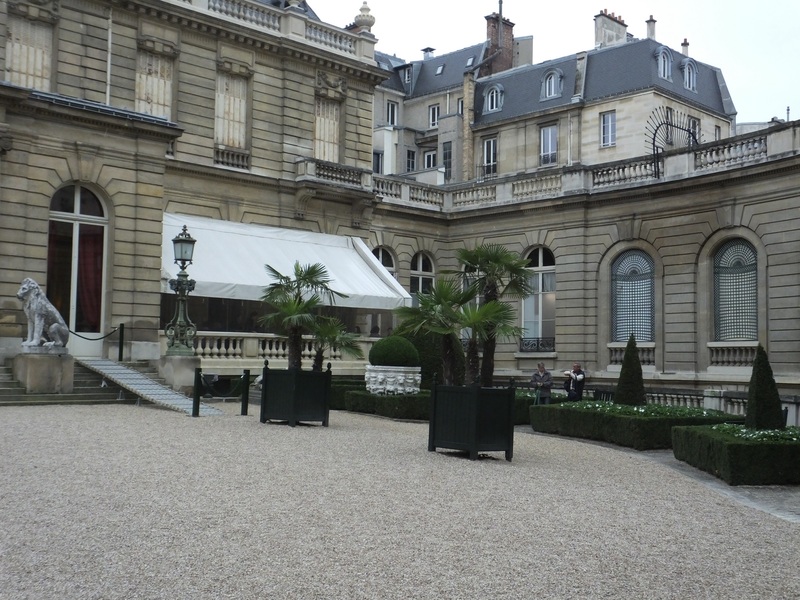 Everyone has to see the Louvre, but it is so overwhelming. 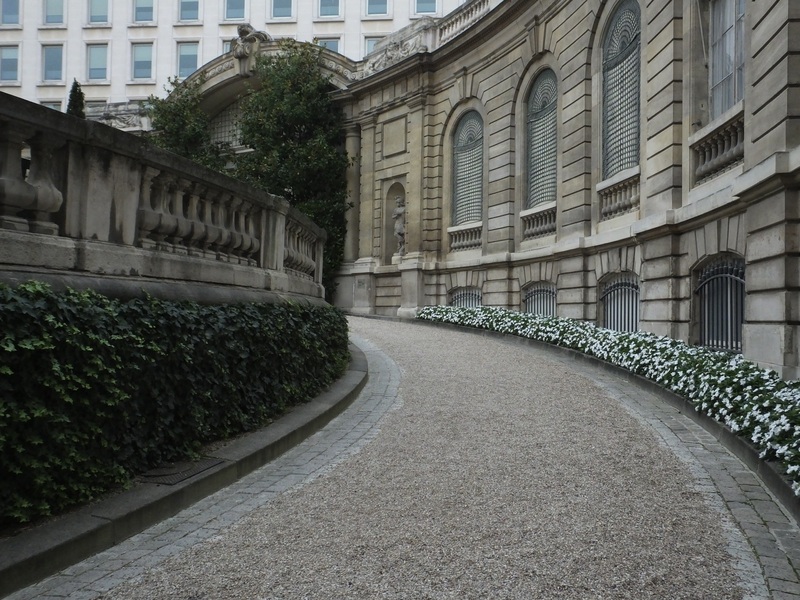 The word for Jacquemart-Andre is intimate. More on the museum after our visit. Not a great weekend for college football in Alabama. Enough said. Rainy Sunday in Huntsville too. Big time this afternoon. 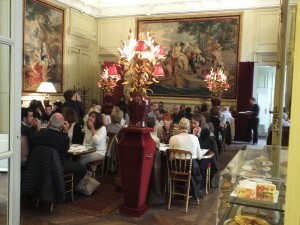 Museum cafe looks divine! Cemetery stroll cancelled today- poor Fred! On for next Sunday.